The body is real based on DNA analysis. What is the point of promoting the idea that the whole thing is faked? Vulich on Mon, 05/02/2011 - 11:36am. dianacastillo on Mon, 05/02/2011 - 12:08pm. Vulich on Mon, 05/02/2011 - 12:20pm. there's conflicting reports on whether he was ID'd by DNA; probably this is in progress, seems way to fast to have completed the test already. Some official speculated that a corpse photo eventually will be released. The official story is plausible, but it doesn't mean it's true. I hope people will remain critical and observant, archive everything released/published and submit it or post links in the relevant threads. So far no hard evidence has been released Bin Laden was there or was killed. While 'national security' and sources/methods related to this operation may plausibly claimed as justification for keeping certain details secret, it does not seem the US has a reason to hide any info related to proof of death, if this happened. Rather, it has an incentive to make this clear beyond doubt, as everyone paying attention knows the people running the US govt regularly deceive the public about important matters. loose nuke on Mon, 05/02/2011 - 1:33pm. For me, DNA-analysis is not a good evidence in this case. The problem is the chain of custody. I am waiting for videos, photos and witness accounts, which could confirm the official description. I am puzzled, that you are asking after evidence, that the official description would not be true. That is irrational. When somebody makes a claim, he/she bears the burden of proof. bio on Mon, 05/02/2011 - 1:33pm. 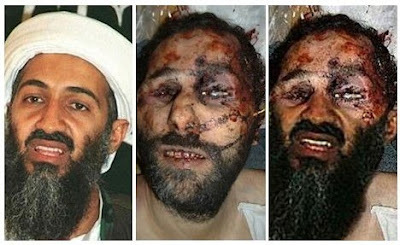 CIA asset.. DNA taken before he died years ago..
DNA samples could have been picked up long ago. as bin Laden was a CIA asset..
You can read much of the evidence documented by David Ray Griffin in his book, "Osama bin Laden: dead or alive?." This 9/11 more than ever.. take a stand for truth in NYC on Tenth Anniversary. I am concerned that they have another false flag operation planned.. and that they will use this action as the reasoning for blaming it again on al Qaida. The mainstream public is disgustingly gullible when the media harps a misleading message down the road to ruin..
jonathan mark on Mon, 05/02/2011 - 1:42pm. I don't think the US has released any photos yet. where exactly did this photo come from? pfgetty on Mon, 05/02/2011 - 12:19pm. Vulich on Mon, 05/02/2011 - 12:27pm. so there is not a single picture and they buried him at sea and the us public is supposed to believe this? just like no photos of the plane crashing into the pentagon? dianacastillo on Mon, 05/02/2011 - 12:58pm. Which photo of the Pentagon attack do you want to see? The question I have to ask you is: what evidence, if any, do you have for a missile strike or a flyover that I can't demolish in a heartbeat? SnowCrash on Mon, 05/02/2011 - 1:08pm. Vulich on Mon, 05/02/2011 - 1:15pm. has this become an official version web? dianacastillo on Mon, 05/02/2011 - 1:17pm. there are national security justifications for failing to release the full videos that are in US custody. 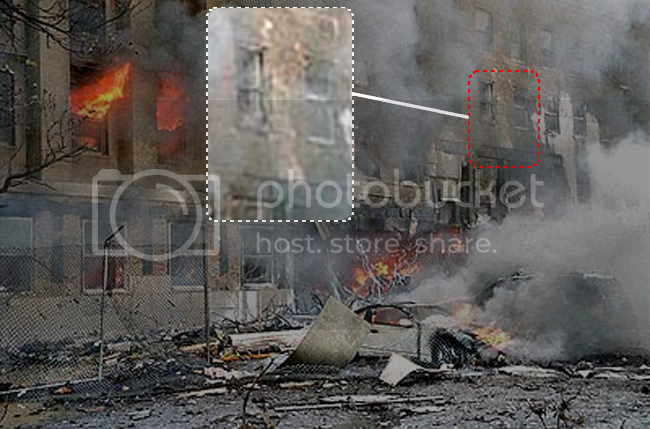 But the photographs are convincing photos of a plane, and eyewitness testimony corroborates the photos. What you write is straight up false. You say there are no convincing photos, but there are. Don't you think the one's given by Snowcrash above are convincing? Vulich on Mon, 05/02/2011 - 1:21pm. loose nuke on Mon, 05/02/2011 - 1:22pm. The only thing strange about the pentagon event is that a plane was ALLOWED to crash there. Isn't that good enough for you? For those of you insisting that Bin Laden was not just killed and it's all a hoax - it would seem that if they were going to conduct a hoax they wouldn't be making it so obvious that the ISI was harboring Bin Laden. This pretty well proves the ISI is as guilty as some of us have been saying for years. The Saudi-ISI-CIA conspiracy has just been given more evidence. Pretty stupid hoax. jimd3100 on Mon, 05/02/2011 - 5:03pm. And by the way... I'm telling people about your research; I was watching Dutch TV broadcasts (Osama Bin Laden was all that was on topic every single show) and I'm frustrated about how people (so-called 'experts') studiously avoid any mention of the issues you bring up ... and which MATTER. ...who lived in New York and was a news correspondent there around 9/11, mentioned how the "conspiracy theories" were now a thing of the past. SnowCrash on Mon, 05/02/2011 - 6:00pm. Or perhaps our establishment is looking to overthrow Pakistan next, and making it look like the ISI was harboring Bin Laden is a step in that direction. Pavlovian Dogcatcher on Tue, 05/03/2011 - 12:30am.